Bed bugs can lay 1-5 eggs in a day and can lay up to 500 eggs in a lifetime. Bed bugs can live more than a year without eating. Bed bugs draw blood for about 5 minutes before retreating to digest. Bed bugs grow up to ¼ inch. Bed bugs can withstand a wide range of temperatures from nearly freezing to almost 113 degrees Fahrenheit. 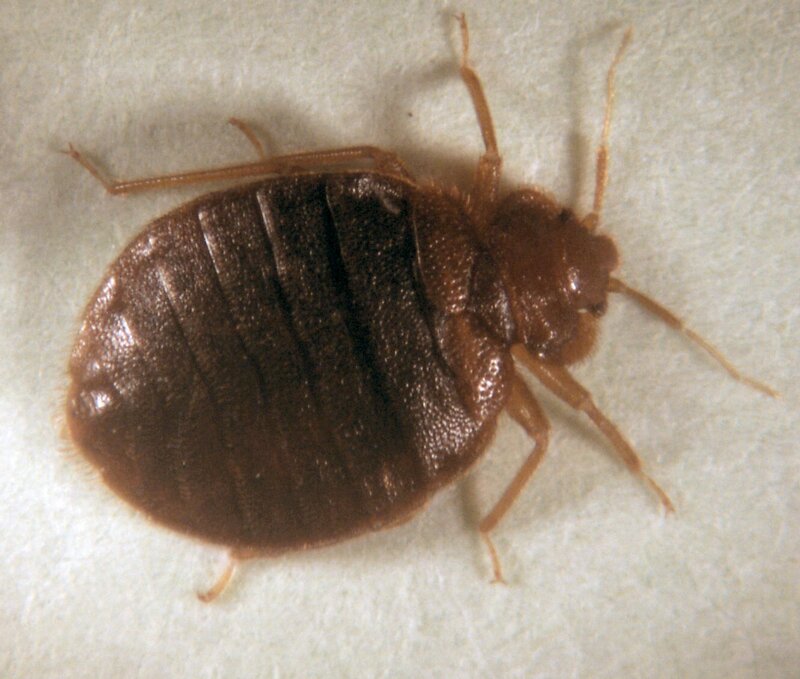 A bed bug is brown before it feeds and afterwards turns reddish-brown. Bed bugs can ingest seven times their own weight in blood, which would be the equivalent of an average-sized male drinking 120 gallons of liquid. Bed bug hatchlings are so small they can pass through a stitch-hole in a mattress. It doesn't matter if a room is dirty or clean. Bed bugs only care about a dark hole to hide in and access to humans. Because bed bug bites are painless, people often don't even notice there's a problem until the infestation is large. 11% of women homeowners believe bed bugs are a threat to their families' health. 70% of homeowners view bed bugs as a nuisance pest, while 20% term them a disease threat. Bed bugs leave a cluster line of itchy bites. American cockroaches can produce 6-14 egg capsules, each containing 14-16 eggs each, in one mating season. Cockroaches can withstand temperatures as cold as 32°F. In extremely cold places, however, they survive by moving in with humans. The brown-banded cockroach often hides her egg capsules, containing up to 18 eggs, in furniture. Female German cockroaches can produce one egg capsule every 20 to 25 days. Each capsule contains from 18 to 48 eggs. Newborn German cockroaches become adults in as little as 36 days. Adult German cockroaches can live up to one year. A cockroach that has just shed its skeleton is white with black eyes. After eight hours, it has regained its regular coloring. 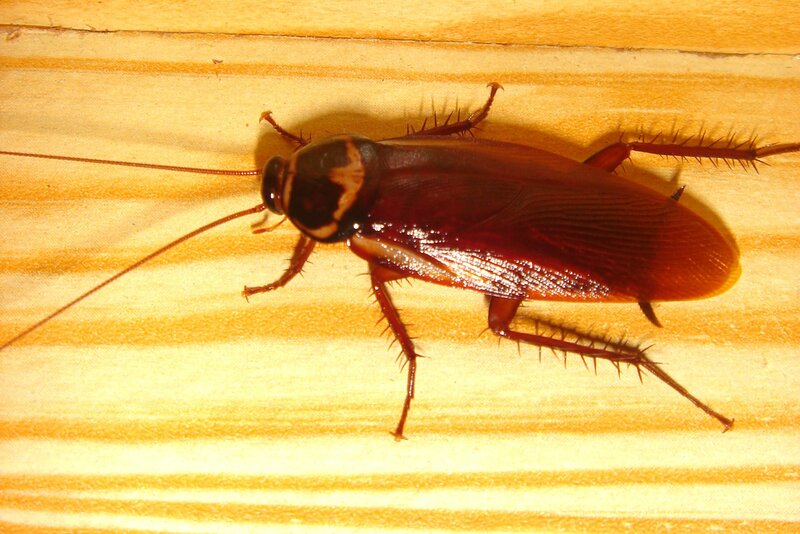 A cockroach can hold its breath for 40 minutes.Cockroaches spend 75% of their time resting.The world's largest roach (which lives in South America) is six inches long with a one-foot wingspan. A cockroach can live a week without its head. The roach only dies because without a mouth, it can't drink water and dies of thirst. Cockroaches can live without food for one month, but will only survive a week without water. Cockroaches can run up to three miles in an hour. Young cockroaches need only a crack as thin as a dime (about.5mm wide) to crawl into. Adult males can squeeze into a space of 1.6mm or the thickness of a quarter. Pregnant females need the most space to hide: 4.5 mm or a The American cockroach has shown a marked attraction to alcoholic beverages, especially beer.A one-day-old baby cockroach, which is about the size of a speck of dust, can run almost as fast as its parents.The German cockroach is not really German. In fact, the Germans call it the Prussian cockroach. It is thought to have originated in Southern Asia. 1 in 4 people are sensitive to cockroaches. Over 5 million children are sensitive to cockroaches. Only 10% of homeowners nationwide feel that cockroaches are a threat to their family's health. Cockroaches have been implicated in allergy and asthma from people breathing in aerosolized pieces of their broken down exoskeletons/cuticles.Detectable levels of cockroach allergens can be found in at least one location in 63% of all U.S. homes. 11% of U.S. living room floors and 13% of kitchen floors exhibit elevated concentrations of cockroach allergens, levels previously found to be associated with significantly increased allergic sensitization. Cockroach allergens are derived from secretions, excretions, dead bodies, and associated debris. Children who are both allergic and heavily exposed to cockroach allergen miss school more often, need nearly twice as many unscheduled asthma-related doctor visits, and have more difficulty sleeping than other children. The average mosquito has 47 teeth. Adult female mosquitoes can live up to four weeks if they have a food source, while males live less than a week. Male mosquitoes do not bite humans, but rather live on plant juices and other natural liquids from plants and decomposing organic material. Of all the insects that jeopardize man's health, mosquitoes rank first. West Nile Virus is the number one mosquito transmitted disease in the United States. In most cases, mosquitoes must feed on an infected person in order to pass on disease. They transmit but seldom carry disease-causing pathogens. Mosquitoes transmit some of the worst diseases known to man, including dengue fever, malaria, encephalitis, and yellow fever. Mosquitoes can transmit West Nile Virus and encephalitis, both of which are relatively uncommon. When a mosquito bites, she injects an anticoagulating agent into the skin to prevent the blood from clotting and allowing her to feed. It is the body's immune response to the anticoagulant that causes the reddened welts and itching. 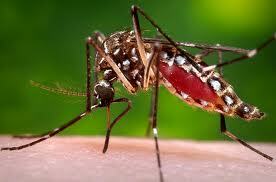 Mosquito-borne disease is likely the number one cause of death in developing countries. There were 2,700 reported cases of West Nile Virus, a mosquito-borne disease, in the United States in 2005. About 1,000 cases of malaria are reported each year in the U.S.
After mating, queen ants lose their wings and never fly again.Ants cannot chew their food. They move their jaws sidewards, like a scissor, to extract the juices from the food. Large numbers of fire ant stings can result in death. A small portion of the population is allergic to fire ant stings and should see medical treatment immediately if stung. Fire ants appear to sting all at the same time. This is because they are sensitive to vibration or movement and tend to sting once they object they are on moves. Fire ants swarm onto a body part and when one ant stings, the body party moves causing all other ants to sting in response. Ants are able communicate with each other about danger and directions to food.When excited or disturbed, the acrobat ant workers run about with their abdomens held high above their heads. 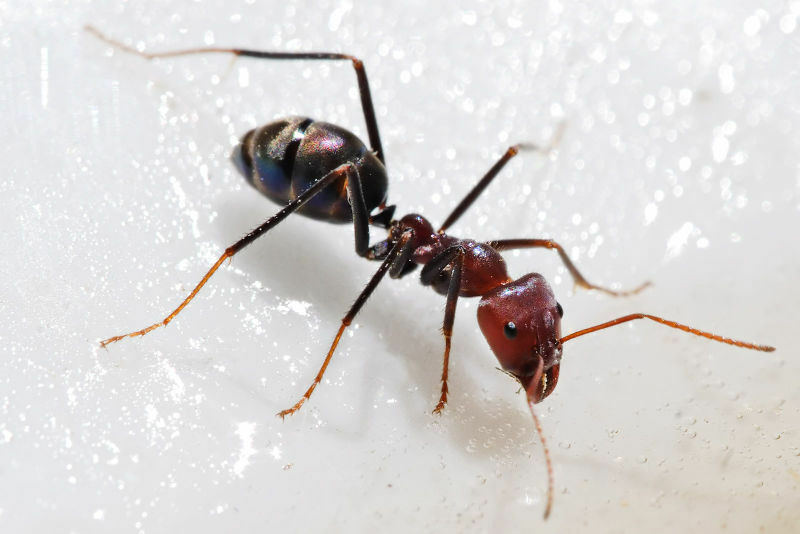 If crushed, the odorous house ant worker gives off a rotton coconut odor, hence it's name. An ant can lift 20 times its own body weight. If a 175-pound man had the comparative strength of an ant, he could lift four tons. African weaver ants can haul prey weighing more than 1,000 times their own weight up trees to their nests mainly through the aid of large adhesive pads on each foot. About 400 people in the U.S. contract typhoid, a fly-borne illness each year. 75% of these cases are associated with international travel Filth flies can carry diseases such as E. coli, leprosy, typhoid and polio. Flies use the hairs that cover their bodies to feel, taste and smell.Flies taste what they walk on. A female housefly can lay up to 600 eggs in her short lifetime. 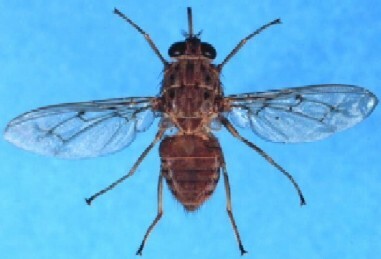 The common house fly and its cousin, the aptly named filth fly, breeds in moist or decaying garbage or excrement and they feed by "spitting out" saliva and former stomach contents onto their intended next meal. The light deflected from an eye of a horsefly can form a rainbow.